Mercedes-Benz 380SL Roadster. 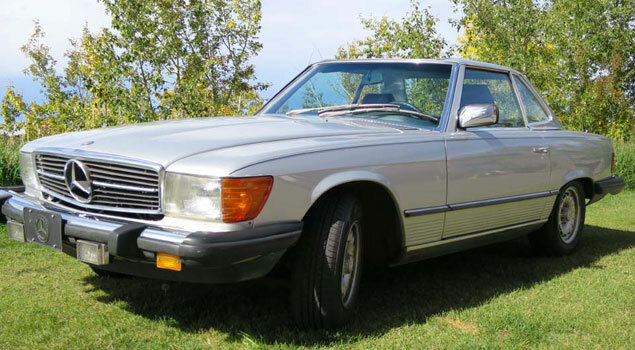 This 380SL is a sleek two seater roadster with sumptuous sporty lines, automatic transmission, and both a folding convertible top and all-season hard top. 100% original with updated headlamps (original headlamps included). Stored in heated garage and never winter driven, this fine automobile has a gleaming finish and no rust. No accidents or dents. The robust 3.8 liter V8 engine is entirely original, and performance remains exceptional -- as it should with only 38000 tenderly driven miles (61000 km). New tires, brake lines and battery installed after a recent detailed inspection to ensure safe motoring. 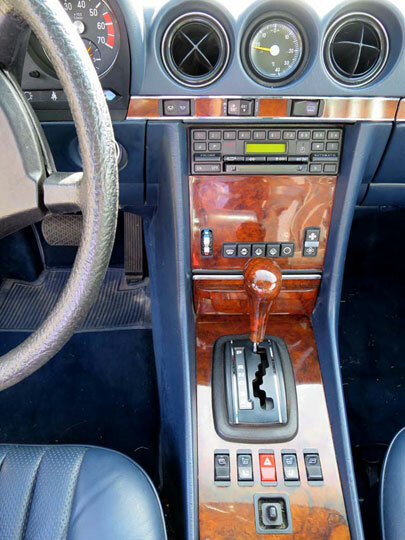 Inside the sleek silver exterior is warm blue leather in superlative condition. Similarly, carpets, elegant wood trim, and roof are excellent. 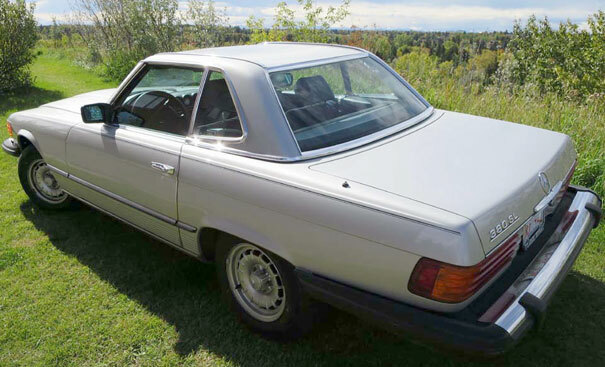 The 380SL's radio, antenna, power windows, power steering and climate control are fully functional except air conditioning. Original factory hard top and canvas soft top appear as new. Original ancillaries (manual, leather key holder, spare keys, floor mats, first aid kit) included. Professionally appraised as 'FINE / WELL PRESERVED". And appraised at over $27,000.